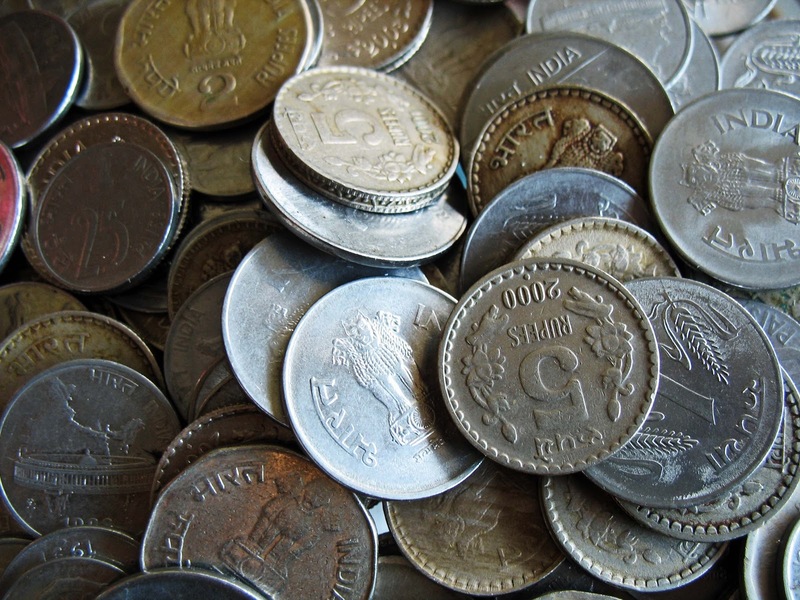 Here are pictures of Indian coins (Indian currency) of different denominations, some paise and some rupees. Five rupee coins are commonly used in India and the one rupee coins are used less. The ten rupee coin is a late entrant and not in the photos. 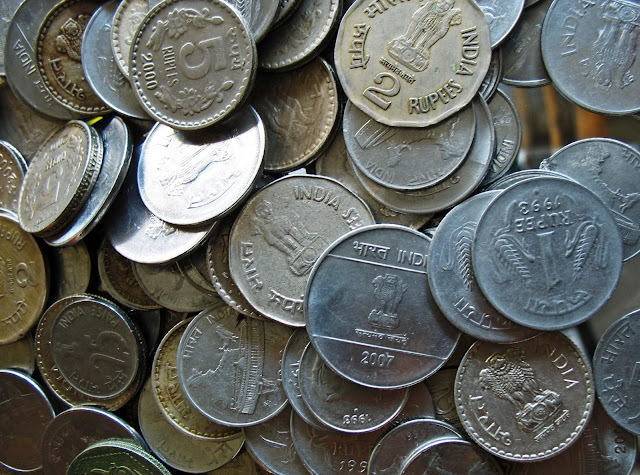 There used to be a shortage of coins in India. In some cases people used to melt the coins for the metal. However nowadays coins are available in plenty. Small change like the 25 paise coin has become redundant. Although it is legal tender people refuse to accept it. 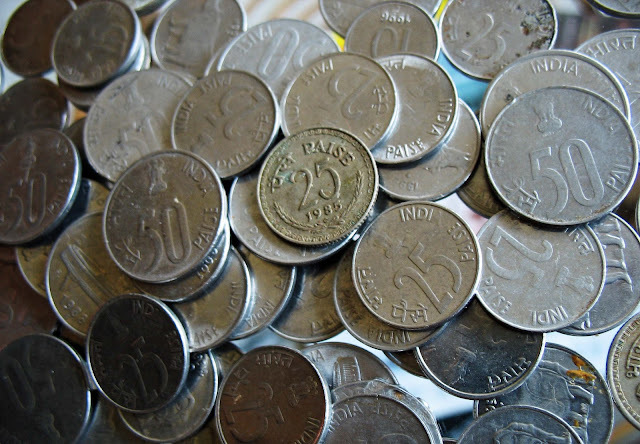 The fifty paise coin is suffering the same fate. There are cases of bus drivers refusing these small coins as fare. This is a violation of the law. The picture below shows coins of very small denominations - that of 25 paise and 50 paise. I would like appreciate you for certain things as mentioned below. 01. Regarding the common message, I salute your open heart to share the thing with others without having selfish intentions. The message itself is totally positive. 02. The pictures are awesome. No doubt. Good collection of photographs. and I know how important pictures are to any blogpost. I want bloggers to use my blog to help illustrate their posts and it will make me very happy if they find the pictures useful. However, the motive is not entirely unselfish. I am putting up ads here too. Ofcourse from my own experience I know ads bring very little earnings but every little counts. Also my pictures are not awesome or anything. They are just stock pictures and I have hundreds of them which I will be posting little by little.